Per the company’s present in the must-see video below: pictures (static or moving) just don’t do justice to how beautifully functional these multi-purpose transforming furnishings really are. 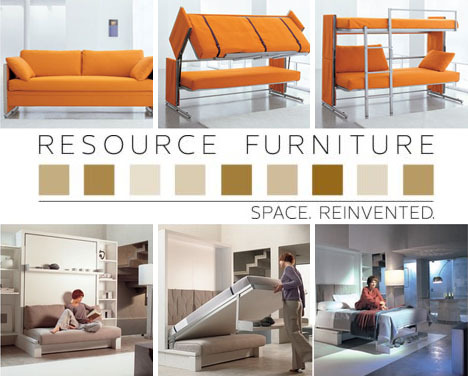 Consider this an introduction, as there are just too many pieces to cover in a single article, to some of the particularly well-publicized successes of Resource Furniture. 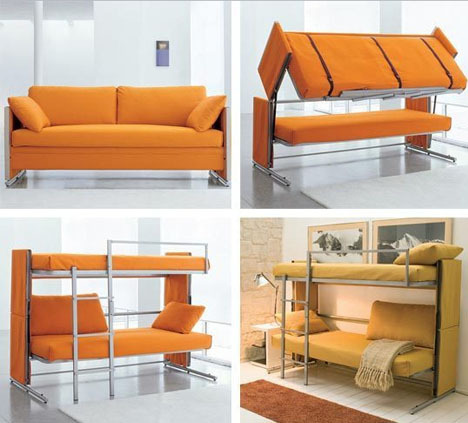 Doc, a doubled-up pair of bunk beds that folds down into a single, normal-looking sofa, is one of the more impressive magic tricks in their arsenal, as you would never guess in couch form that two secret sleeping units are hiding inside. 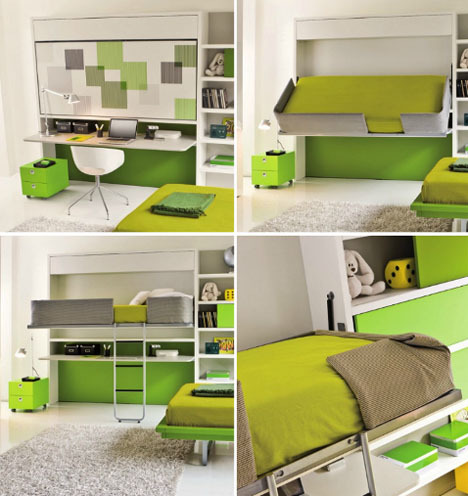 There bed-to-desk-and-back again sets are also highly impressive, often disguising entire shelving systems behind them, or tucking work surfaces below (that, in some cases, stay level so you can simply leave everything out when heading to bed). Finally, too, they have a ton of tables that turn from tiny low-to-the-ground, on-the-side stands to full-fledged workstations and dinette sets.